At the drive-in – Life moves pretty fast. 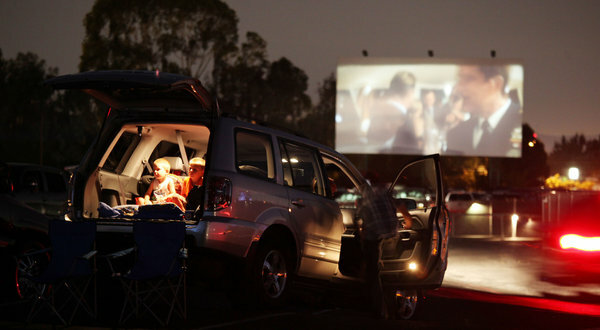 There’s a lovely article in the New York Times about the last remaining drive-ins in the States. There are just 368 left, down from over 4,000 in the 1950s. Here’s a quote from the article – read the whole piece here. Mission Tiki, a Polynesian-themed drive-in with four screens and room for 1,000 cars, has been packed this summer, just as it was last year. At sunset on a Saturday in early July, with the San Gabriel Mountains glowing burnt orange in the distance, children with hot dogs ran between cars, a few teenagers on dates cozied behind dashboards, and families camped out in lawn chairs.